I don't care if you work for a big corporation, mission-driven nonprofit, or small startup, your photography can help define your brand, grow your business or persuade your audience. That's right, you and your camera can save money, make money, or change the world. From feeding the social media channels to effective marketing and PR, from creating fun employee contests to showcasing your favorite clients, there are literally tons of ways to use photography to further business. 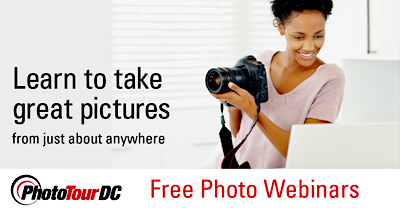 In this webinar, I will discuss the many ways you can use your camera on your day job and the technical considerations for a wide range of shooting scenarios.